In the blogging world there are three names that everyone knows. Darren Rowse the Problogger, Jeremy Schoemaker from Shoemoney and Brian Clark the Copyblogger. These names are synonymous with blogging success, influence and, yes, making good money. In this post I want to show you the three reasons why these guys are rich. Hopefully we can learn something from their example. The first thing that these guys do very well is summarized very well in the old marketing saying “the money is in the mailing list“. Each of them command extremely large lists of email and RSS subscribers that they have grown over the years. These lists allow them to do a wide variety of activities that earn them a lot of money. More about that in a minute. Let’s take a look at how many subscribers we are talking about. That might help you understand the value of these lists a little more. 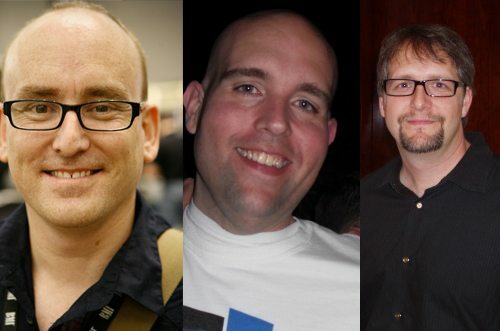 Darren Rowse has three main sites – Problogger, Twitip and the Digital Photography School. Problogger has 140,000 subscribers, Twitip has 33,000 and DPS has 480,000. Combined that is over half a million people that pay attention to (almost) everything that Darren publishes. Jeremy is a little bit of an enigma. Why? Because he has lots of projects on the go at the once so it is impossible to tell how many subscribers he has. We can make guesses though – one of his sites called Fighters.com has 201,000 on the day of writing this post. For some reason he isn’t displaying this stat on Shoemoney.com at present. The guy behind Copyblogger.com is currently sitting at around 123,000 subscribers for his content based blog. As you can see these lists are comparable in size to Will Smith’s wallet. Big. This gives them an extremely good base for turning a profit online. Each site has over 100,000 people that they can contact at any time they wish. What I want to do now is take a look at why these mailing lists and RSS subscribers are more important. 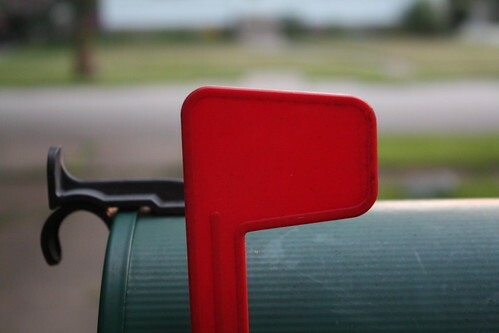 I am going to base this discussion mostly around mailing lists because I believe they are, for the most part, much more valuable than a plain old feed subscriber. When you have a mailing list of 100k+ you can be assured of one thing – your traffic is going to be okay. If Google turned you off tomorrow you would be alright because a good percentage of those subscribers are going to visit your site when you write posts. If you are serious about growing your blog you should think of this as your main source of traffic and everything else as ancillary. Of course its not, but its a good frame of mind to be in. John Chow was banned from Google for a very long time but thanks to a massive subscriber list and a lot of loyalty from his readers his traffic (and earnings) continued to skyrocket. Affiliate companies love mailing lists. Why? Because they are targeted. Imagine if Darren Rowse sent out an email about buying a new apple peeler. He wouldn’t get many bites (zing). But if he sent out an email promoting a new ebook that only costs $17.95 and shows you how to make an easy $100,000 a year with your blog he would do alright. Why? Because his subscribers are all people interested in making money with blogs. Your email list provides you an amazing opportunity to promote advertisers or affiliates that pay you a commission and add value to your readers. Shoemoney is constantly sending out emails promoting his friend’s new offers. Usually it is some training system that helps you make money online and he does extremely well from them. He recently stated on a video (that I can’t find) that he is often the number one seller of these affiliates by a very long way. Do you remember the first few months of your blog’s life? No subscribers, no traffic, no earnings? Not these guys. If you have an existing website with 100k emails in your list you will never have trouble launching a new product or website again. Chances are most of them will be very interested in what you are doing next. The latest product launch out of this group has been the Shoemoney System which sold out in a matter of hours. But, Darren has also launched the Problogger Community as well as his book and Brian Clark kicked off his (and Chris Pearson’s) Thesis Theme with an enormous bang. Everyone knew about these launches and it all started with the mailing list. As you can see, growing a mailing list is a big part of why these guys stay successful. Sure, they had to have a good level of success to get that many subscribers, but that is a lesson for later. All I want us to recognize at this point is that we need to make the mailing list a major focus of our blogging. In this next couple of weeks I am going to do a complete post about how to grow your mailing list in a very short amount of time. Make sure you are subscribed so you don’t miss this one as doing so could cost you a lot of subscribers! The second thing that these three guys do is use their strengths to add value to people’s lives. This statement can sound a little bit airy fairy but I will try to explain as best as I can why this is actually one of the most important things you can do. Darren has a lot of strengths but the three main ones, in my opinion, are producing volumes of useful content, managing teams of people and creating communities that become very important to the participants. Problogger has, for as long as I can remember, put out and article every single day without fail. In the early days I remember Darren saying that he would sometimes write up to 20 posts a day. He now outsources most of the writing to guest bloggers which reduces his workload considerably. That is where the management comes in. Finally, he has a knack for creating amazing communities – his DPS site and forum is full of experts and beginners who love interacting with each other. These sites have a virtual life of their own now. 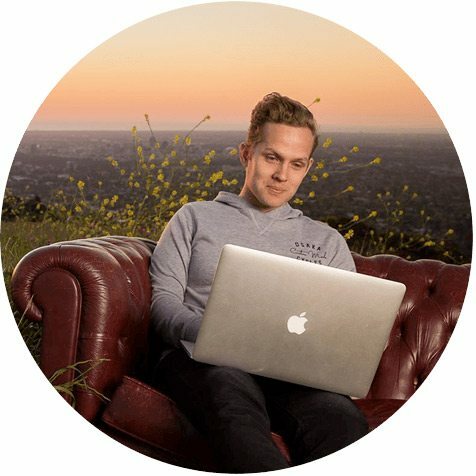 Jeremy is known around the blogging world for his amazing projects that seem to take off and earn a lot of money really quickly. The best example is his ebay ads website that made it super easy for bloggers to place ebay listings on their website. He sold it for a small fortune. He is constantly taking risks with new projects and in doing so he makes a lot of new connections with people that he can team up with to tap in to new markets. Jeremy often refers to himself as being a beginner or a student of marketing which, aside from being sign of humility, shows that he knows that he needs other people to succeed. Taking risks and teaming up with a variety of people is how most of the richest people got rich – Jeremy does it well. Brian Clark is one of the best teachers you will ever read. I have never met him or heard him speak but his blog articles helped me earn a living over the years in a very indirect way. What do I mean by this? Well I make it a point to read whatever Brian writes and over time I have changed the copy of my websites to fit his instructions. Almost every time I do this I see an increase in conversions or interactions. Brian teaches you without lecturing or being bossy – you learn things without even knowing you are learning. He has also expanded into related niches by creating the Thesis Theme. A very clever step forward (or maybe sideways). When you hear people say do what you are good at you very rarely hear them follow up with the in order to help people. This is what these guys do well. They do what they are good at in order to add some sort of value to people’s lives – building a better blog, making more money or becoming a better writer. You have to make sure that your blog is always enriching people. Without that altruistic undertone it is very difficult to make a significant and profitable breakthrough. See the guy in the hammock? Its not Darren, Jeremy or Brian. I could be wrong but I doubt these guys spend very much time lounging around. From what I can tell they are all extremely hard workers that understand the value of putting in blood, sweat and tears. The idea of the instant internet millionaire is not something that any of these guys really push – they all have worked extremely hard for their fortune. I want to put a little subtext here – they also work very smart. I don’t think you would find them spending too much time mucking around with a color scheme for their background (something I did for about an hour last week). Rather, they spend their days planning projects, developing new ideas and, of course, writing blog articles. As I said up above, these guys produce and enormous amount of content (Darren and Brian more so than Jeremy) and that takes a lot of work – even if you are just managing guest posts. The word “consistently” is very important here because one thing that these guys do is stick at it. Jeremy has had some well publicized problems and actually used them to make new progress. They don’t stop when it gets hard (or boring). It is very important to apply this to our own situation. My good mate (also an internet businessman) and I always talk about the fact that it can sometimes be tempting to slow down when you have had a small success or two. For example, lets say your blog is making some money, getting lots of traffic and gaining heaps of subscriptions – it can be tempting to take a week off and kick back a little bit. Maybe sleep in, miss a few posts, stop planning ahead. This is an extremely dangerous fault to make and something that the best and brightest simply do not do. Make sure you have your ongoing projects and don’t stop working when you feel like you have done enough. You never know what’s around the corner. Darren, Jeremy and Brian are good examples to follow but they are really only that – examples. If you feel inspired by their work ethics, methods and success it is really quite pointless unless you put it into practice for yourself. Find out your strengths, build your mailing lists, work hard and keep forging new connections. Is there anything about these three that you think they do extremely well? I would love to hear your thoughts. I also read Keith Baxter for “out of the box” stuff. I’ll check out Keith’s site. Very good article – it is a powerful tool building a major subscriber list. Finally, a blog post that’s refreshing. I do have a one question, though. It’s a rather simple one – How did these bloggers originally get their audience? I don’t know if I’ve made the question sound frivolous, but how do you attract people to your blog? I mean, say I start a blog in an already saturated niche, how and from where would I get the people to even come to my blog? Racking up the mailing list numbers would, for a ‘nobody’ blogger, be secondary. For me, getting even 50 people to read my blog (I don’t have one atm, just so you know) would be quite an achievement. Question is – How can I do that? It comes from so many places – Google, guest posting, links from other sites, social media, etc. Write high quality content that helps people and start interacting on Facebook and Twitter. Make sure you leave your blog address when you comment on websites – you didn’t here so I couldn’t visit your site! Usually most traffic comes from Google in the early stages and then as you grow and develop you get more loyal readers, link backs, etc. Another thing these guys seem to do well is partner up with other marketers/copywriters/bloggers to create and sell products or services. They understand the value of relationships in the online marketing space and they profit quite handsomely from it. … and it takes time. Success doesn’t happen overnight, and it didn’t happen for Darren, Jeremy and Brian either. Tying into the blood, sweat and tears – is the time principle. Keep doing all of the above consistently over a long period of time and eventually success will come. So many of either think about this as an overnight riches game – and give up once we don’t see the money. Key is, that is exactly what differentiates winners here – and elsewhere. Great quote Kapil. I love it! Great post. Glad I found this site and I will also check out the 3 gentlemen’s sites. My blog is fairly new w/ 16 followers. I will definitely implement the WOW tips that was posted 2 grow my blog. Thanks. Thank dreamkeeper. Did you like the post on Problogger? a great post really very well observed and explained. A wonderful post. I came here from your today’s guest post on Problogger. Its been a while I was dropped out of adsense program, and didnt like any other network. Still i write regularly and when i see my mailing list going up I see the big money coming in though in future. i like writing what I m writing about and have good traffic, mostly from google and now added facebook fan page. I think an alternative to mailing list can be facebook fan page. The biggest advantage is your readers can share it with their friends instantly. Very nice post and all important points. Zahid – what happened with Adsense? Did you drop them or they drop you? They dropped me. some invalid clicks issues as usual with hundreds of publishers. I think $1000 triggered the flag and they disabled the account. I appealed several months before and still waiting looooooool and building traffic. I believe, the only solution to all this is traffic. Just like Zahid above I stumbled upon you on problogger and decided to follow your link. Truthfully speaking I rarely do that but your post on problogger really connect with me. This post right here is a classic for me. I really didn’t know about Jeremy and Brian but am a keen follower of Darren. Above all, you just hit the bull’s eye with advice to bloggers and I like the point stating Darren, Jeremy and Brian don’t just sit and wait for the money and readers on their different blogs, they look for them in all kinds of ways, simply put they work hard. Thanks a lot and you just got yourself a fan. Thanks Teddy. Hope to see you around on the blog some more. I keep hearing from everyone that it’s really important to build up a mailing list and at the moment I’m trying to get more ‘subscribe via E-mail’ Feedburner sign-ups and I recently signed up for an account on Mailchimp. However, I have no idea how to get people to sign-up to my mailing list as I have no E-book or freebie to offer. As it’s obviously quite important for a blog’s success to have a mailing list, judging by Darren,Jeremy and Brian’s example, what do you suggest, Blog Tyrant? If I was you I’d set aside $150 or so and run a competition where people can win a gaming console or game or something significant if they subscribe by email. Draw one winner in three months time or when you hit a certain number of subscriber. I think thats a good idea, but user may unsubscripted too. You can not keep the people with gifts for a long time. I believe one need to create a compelling content that helps readers. All three biggies have big lists because of their content. If you run an event it may increase to till some extent but you can not grow big. I think creating useful content for a large section will help. Thanks for the help guys! I think I might try hosting an ‘E-Mail competition’ but only I’d use a smaller prize just in case they only enter the competition and then unsubscribe after they’ve entered. The part about launching new products easily is so true that I wished I has a mailing list when I launched my blog setup service. I’ve started building one using my RSS feed updates. So far so good I’ve got 27 in the bag and I’m looking @ more ways of increasing the number for this month. I have interacted with Darren once with a guest post on TwiTip and I found him very friendly, personable and encouraging. Considering how busy his schedule must be, it was quite refreshing. I’ve found that many of the big guns share these attributes when dealing with total strangers. I’ve never interacted with Jeremy or Brian though so I can’t speak about them. Darren is a legend. No two ways about it.